Ten Mile Creek Brewing is conveniently located on the Last Chance Gulch Pedestrian Walking Mall. Located on the western edge of Helena, Spring Meadow Lake State Park features a 30-acre, spring-fed lake, and it’s a popular spot for fishing, swimming, hiking, and biking. A .8-mile trail circles the lake for hikers and runners, while the 4.6-mile rails-to-trails path connects the park to the Centennial Trail and downtown Helena. 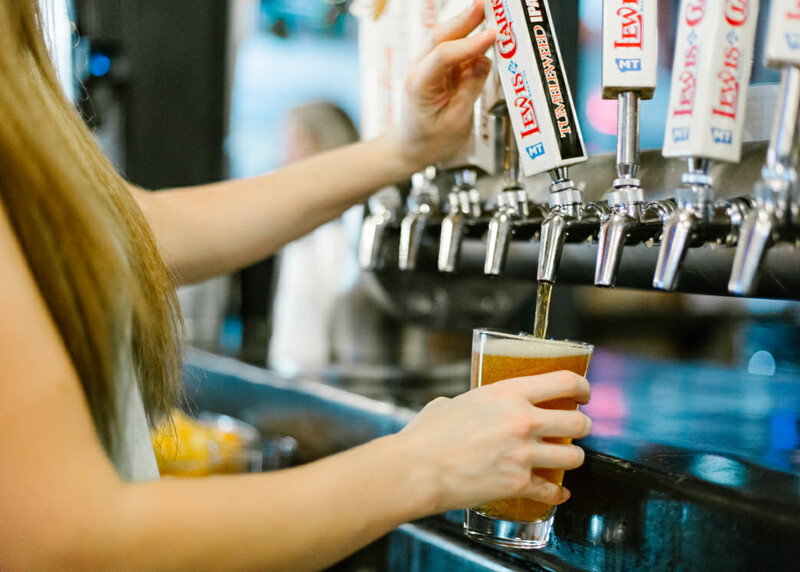 After your activity of choice, stop by Lewis & Clark Brewing Company, which serves up hand-crafted, unpasteurized beers made on site. 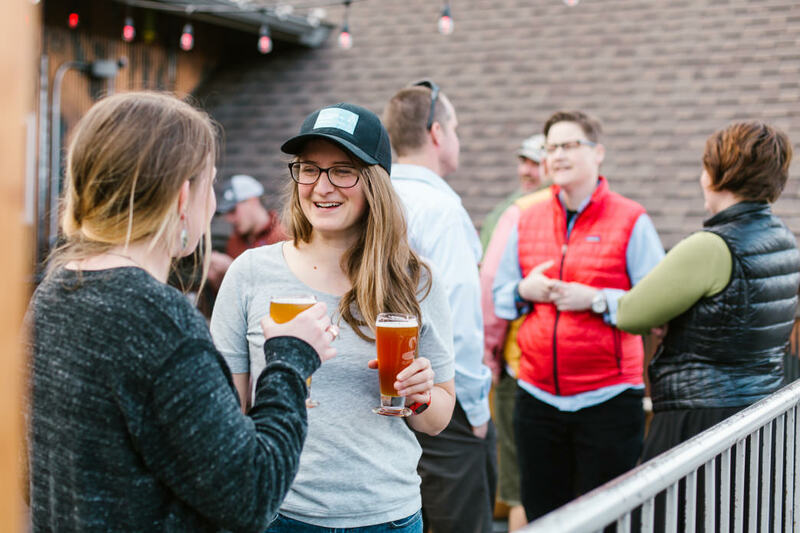 The brewery is housed in a historic building downtown and hosts a steady stream of activities and special events on its indoor and outdoor stages. Beer connoisseurs will appreciate the local ingredients used in many brews, and some of the spent grain from brewing is used in the food, such as bratwurst buns and pizza crust. Just south of Helena between Mount Ascension and Rodney Ridge, the 3.7-mile Dry Gulch Short Loop is a moderate-rated hiking and mountain biking trail that features plenty of switchbacks and good tree cover that offers shade and a solid workout. Mountain bikers in particular like the singletrack here. Just a mile from the trail, you’ll find the Blackfoot River Brewing Company. The cozy taproom produces a variety of local favorites, including Tartanic, a Scottish-style ale, the Smooth Cream Ale, and the American Strong Ale. All are hearty post-adventure favorites. Each week a new beer rotates through the “beer engine” — often an eclectic choice such as Orange IPA or Bloody Mary ESB. Helena has plenty of options that will quench your thirst after a day of adventuring. For continued fun, check out Helena’s newest microbrewery Snow Hop Brewery. Helena’s 5th microbrewery, Crooked Furrow Brewing will open later this Spring 2018. Want your adventure and alcohol in one stop? Head to Broadwater Hot Springs and The Springs Taproom & Grill, home to a series of natural hot springs and pools filled from an artesian well and cooled with natural cold springs water. The outdoor pools are open year-round and beautifully crafted, offering a respite for road-weary travel warriors. After your soak, take advantage of The Springs Taproom & Grille. The restaurant uses local ingredients wherever possible, and a wide variety of beers and wines are available. If you’re more in the mood for recovery, this adventure may be right up your alley. Helena’s 2nd Annual Shuttle Fest will be May 18-20, 2018 and will feature continuous shuttles on the Helena Trail Rider, Helena’s free shuttle to the trails. Learn more about the Trail Rider here. Written by Jess McGlothlin for RootsRated Media in partnership with the Helena CVB.